Buying Spandex Gear is an obsession and I’m sure that we can all agree that you can never have enough Lycra! I’ve been collecting for a long time and members always ask me where I got a particular Wrestling Singlet or pair of tights. The Spandex Party Gear Guide is going to help you find the hottest gear as we go into spring! 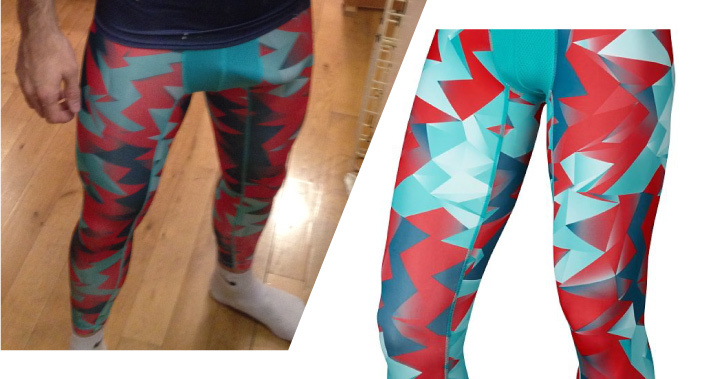 Compression tights are the Spandex lover’s saviour! 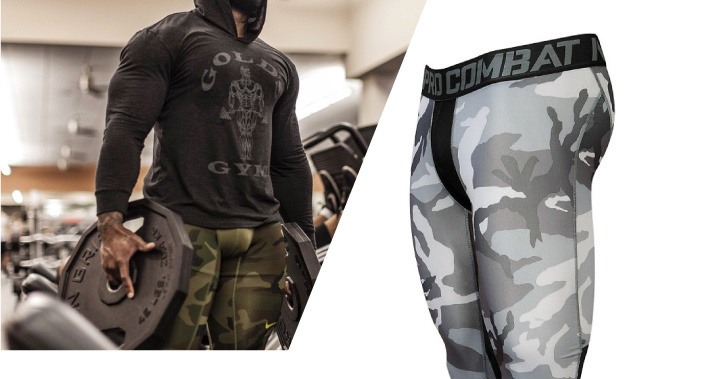 Ever since tights were re-branded as something that is essential to fitness (yeah, right) men of all kinds are happy to wear them in the gym and outside; something I heartily endorse. Here in the UK everything on offer tights-wise is fairly boring but in the USA you can get all kinds of brightly coloured choices. Two of my recent personal favourites are the Jordan Stay Cool Compression Retro 7 Tights and Nike Pro Hypercool Comp Woodland Tights. The great thing about these tights is that the great busy patterns mean that even though they are meant to be used under shorts, they are much better on show where they belong! They also have really good support so you can wear them without underwear at the gym without feeling too self-conscious. Skins were one of the first compression brands to hit the market with their distinctive yellow stripes and they held up really well until 2xu came along with their silver lines and (in my opinion) a superior product. Member cdngearjock put me onto their brand new range, and this time it’s GOLD. He tells me that "they feel like they support your muscles but they allow you to move freely. So they are great for working out and for Crossfit. They are soft and you can wear them with nothing under. Great pouch for support." The yellow styling was looking a little dated so the gold lines have really taken their designs in a more classy direction. In the past I’ve always thought that N2N singlets were a bit too popular and for guys with a long body like me they were way too short. However, their new USA singlet looks really nice. Longer legs, still with the distinctive pouch and a high body makes it look really fun. This still isn’t a singlet that you can ever wear anywhere other than round the house sadly! On the positive side it’s possible to buy N2N easily and i’m looking forward to seeing some guys in one! Available from the N2N Website. Barcode Berlin’s collection of skintight gear has grown and grown and now in London you can't move for singlets from this brand. In the past I've not been a fan of the fabrics but that seems to have changed with their latest singlet. Bold colours with wide hems and well made shoulder straps remind me of the Adidas response singlet, for proper wrestling! Great to see brands like this making Singlets more generally popular and available. See them at Barcode Berlin. 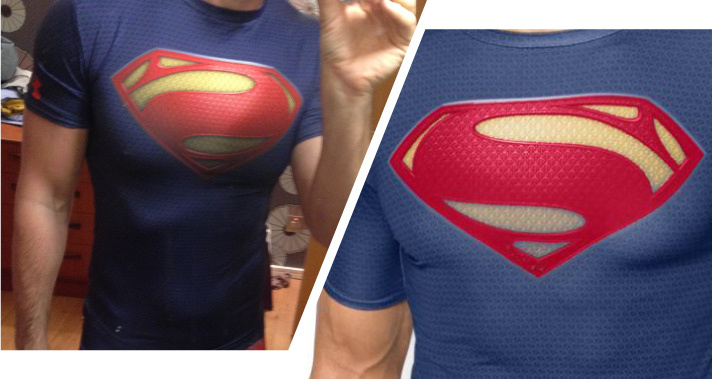 Looking for spandex on a budget? A new option that has come up over the last couple of years is ordering direct from manufacturers in China. Where in the past there would be minimum orders of thousands and slow shipping, sites such as DHGate and Aliexpress make it almost as simple as buying something on Amazon! I've bought several items from sellers on both of these sites and the price usually includes shipping from China which can be as quick as a week! The sites also have eBay style ratings which mean that you can have some confidence in the seller. For example, the Tri-suit I'm wearing on the site homepage is available from Aliexpress for just $62 and other items such as thongs, tights, cycling skin suits and zen tai are available at low prices. My only advice is to beware that some items are sized for the Asian market so make sure of the measurements before you buy as sending it back isn't going to be easy! 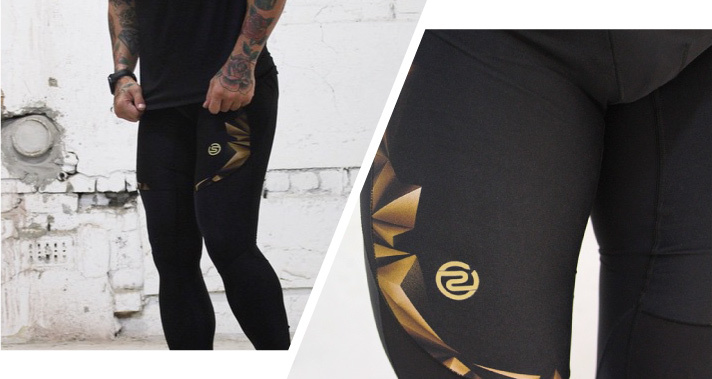 There's one brand that's brought more Spandex to the market that anyone else in recent history and that's Under Armour. They have some very exciting designs and their tights tend to be cheap and also kind of thin and flimsy which as we know, can be very hot over a bulge! My favourite range of theirs are the series of Super Hero shirts and tights and I recommend the Alter Ego Superman top to get you started. Another massive plus for me is that top is long which means if you are tall it will fit comfortably and not ride up which is a reason I've kept away from compression tops so far. Check it out. eBay is the place to go if you want that once in a lifetime sprint suit, professional athletics tights or wrestling singlet. Nothing can be depended on, but hey, that’s what makes it exciting! My advice for finding something on eBay is patience. Set up a saved search for the item you want so that when it's listed you get an alert. Make sure you cover all the ways of writing it as a Skinsuit can be written as skin suit, sprintsuit etc. or also Trikot or Bodys in German. Most people will head for items with great pictures so don't discount the same item if it's listed with poor photography as it will likely end up cheaper with fewer bidders. You can pick up some awesome second hand athletics gear this way, and if it doesn't fit you can take a better photo and sell it again! 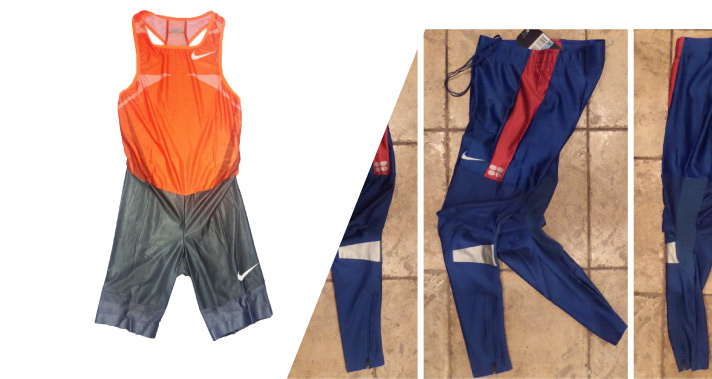 As an example, check out these two items available now: Sprint Suit and Running tights.